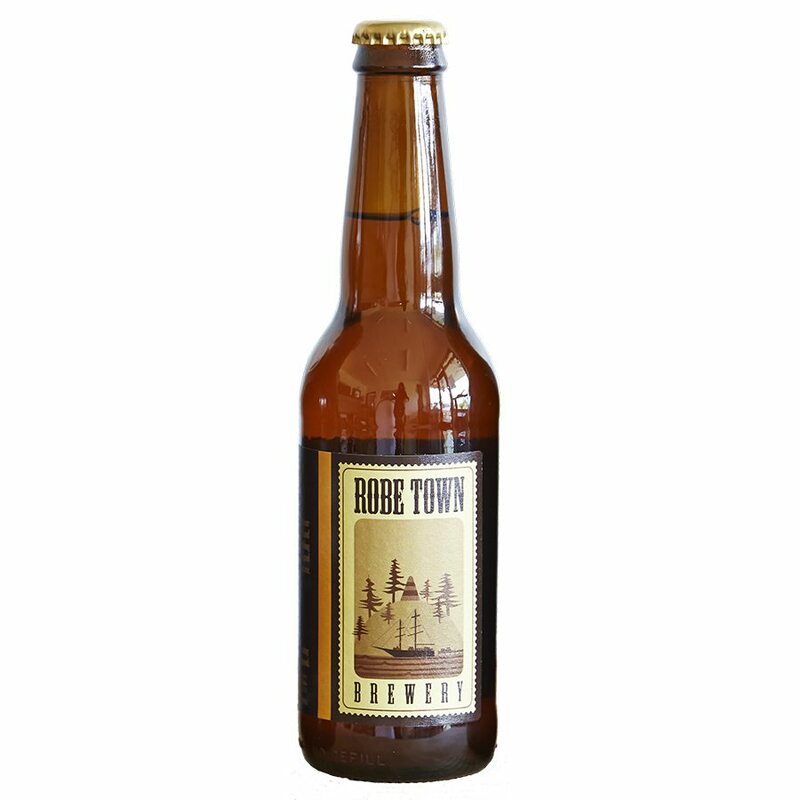 Robe Town Brewery’s Pale Ale is packed with flavour from their special small-batch barley malt. Australia’s own classic bittering hop, Pride of Ringwood, sets a solid base, while Cluster hops, a historic colonial strand, add a delicate aroma. American pale ale yeast fermenting at low temperatures gives this ale a clean finish, while allowing malt and hop flavours to shine. Pale Ale – what’s the story? New methods for dry-roasting malt in the 17th and 18th Centuries produced a malt much paler than previously available, giving the style of ale its namesake colour. This aromatic and thirst-quenching ale has a light but malty, almost honey-like flavour delivered on the back of a a warming hoppy finish. The enticing hop aroma is gained from the special late hop additions to the kettle. The specialty traditional ale malt we use for this ale comes from Australian-grown barley, malted by a small and independent malting company, while the hops are meticulously grown in the Victorian highlands. Refreshing. Easy drinking. Great flavour. For full flavour appreciation, all Robe Town Brewery ales should be enjoyed at cellar temperatures (8° – 12° C).